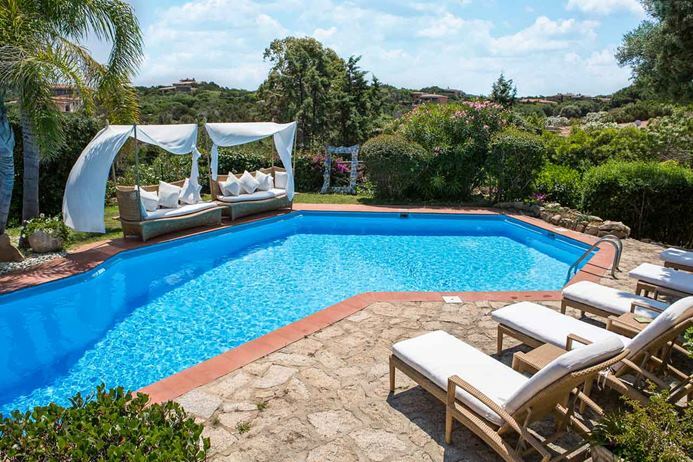 Villa HII POR is situated on the famous Costa Smeralda in the heart of Porto Cervo and only 200 meters from a glamorous square. 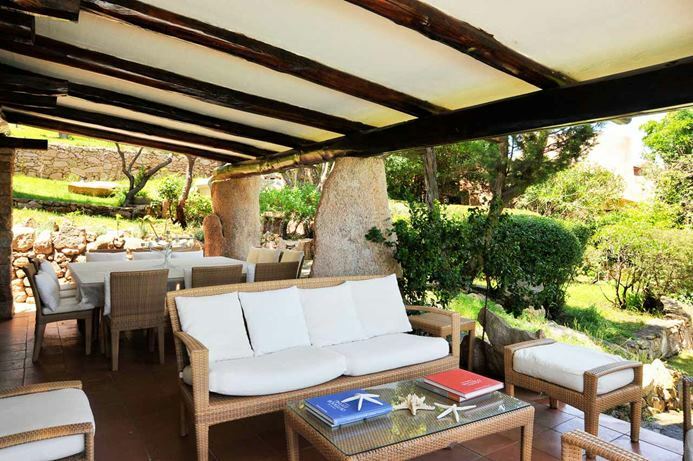 Villa Il Porto, also known as HII POR, is a 5-bedroom villa in Sardinia, located within walking distance from town and a 20-minute drive from the beach. 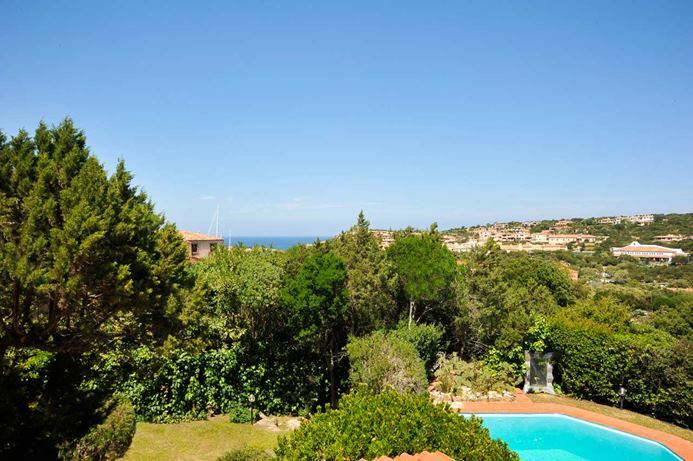 Costa Smeralda is well known for its beautiful beaches, while the Porto Cervo and Porto Rotondo nightlife is famous among celebrities. The interior is bright and spacious. 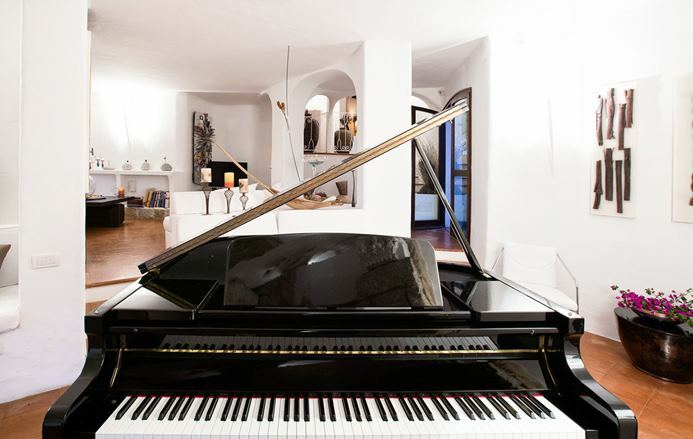 The living area features cushioned furnishings and a grand piano, which is ideal for entertaining. The kitchen has a cozy fireplace and a window, which opens to the garden view. A covered terrace houses an outdoor dining area, which accommodates up to 12 guests and a lounge area with cushioned sofas. Each bedroom has an ensuite bathroom (5 with a shower). Five bedrooms are located on the first floor, while 1 small, single room is situated on the ground floor. This room is suitable for a maid or a nanny. Four bedrooms are each furnished with a double bed. The master bedroom has a terrace and a panoramic view of the harbor. 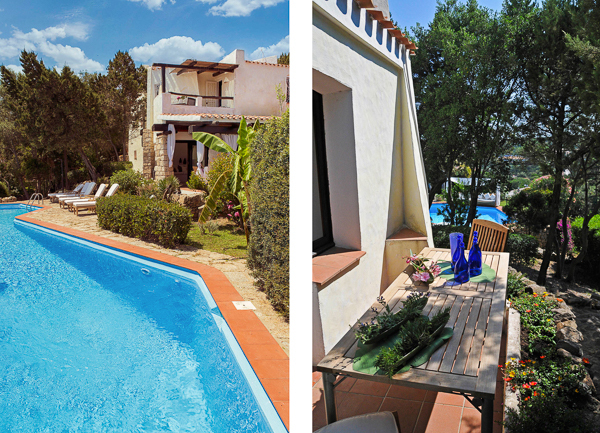 A spectacular garden and lovely sundeck surrounds the uniquely shaped private swimming pool. The sundeck is furnished with cushioned loungers and canopied loveseats, which is perfect for sunbathing or reading poolside. 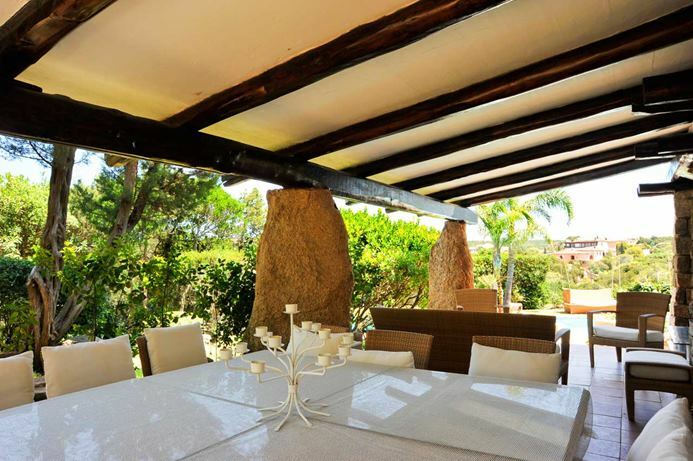 This villa also comes with a charcoal barbecue, a washer, WiFi, and shared parking spaces. A security deposit of €1,000 is required. Clients will need to sign a security deposit form with credit card details in order to cover possible damages or loss at the property and any other extra services payable locally. The form needs to be completed and returned to WIMCO at least 1 week prior to departure in order to guarantee access to the property. The amount will be refunded after the departure if no damages or incidentals occurred. Villa Il Porto, or HII POR, has house cleaning services available during the week.